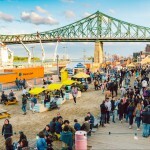 Until September 30th in the central district neighbourhood of Ahuntsic-Cartierville, come visit an innovative and creative project in the heart of the city. 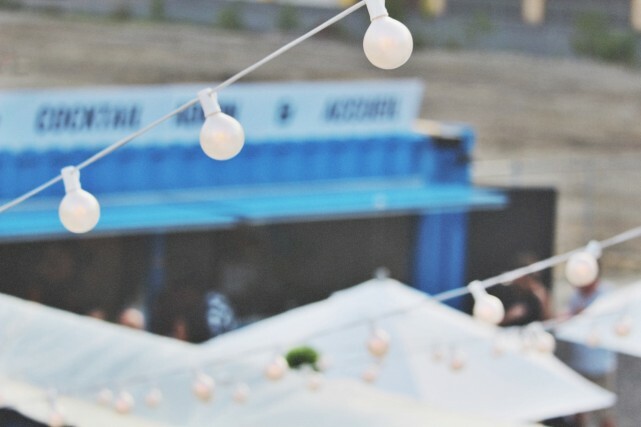 Village BUNKR was created by young adults inspired to change an industrial and commonplace space to a relaxing and interesting village for your enjoyment. 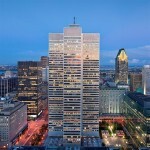 Eat your lunch on their beautiful summery terrace or participate in their various activities. Don’t miss out! 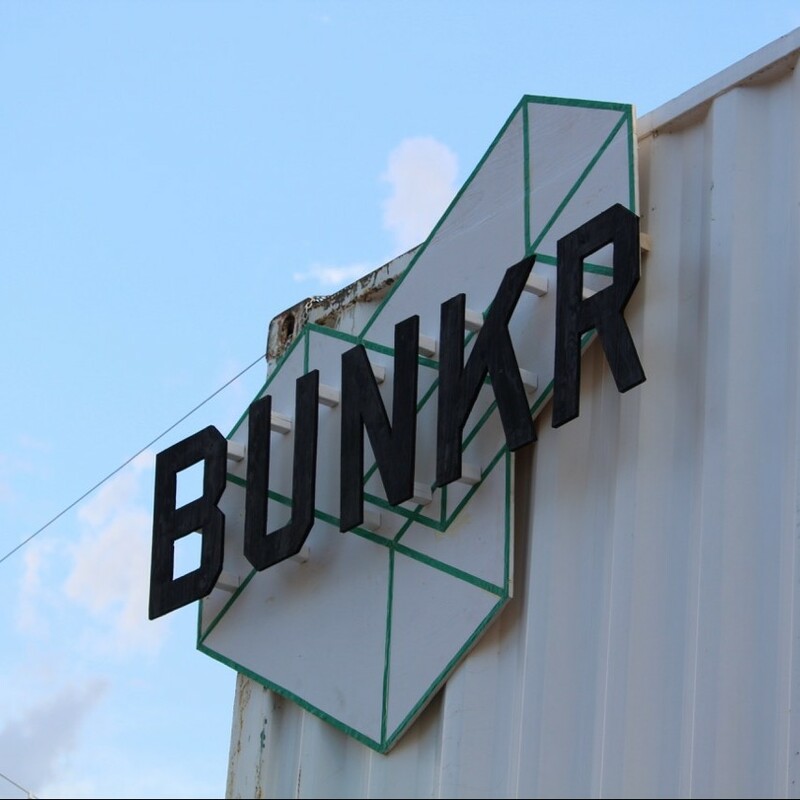 Village BUNKR is in its first year of operation so it will continue to grow and to surprise you! 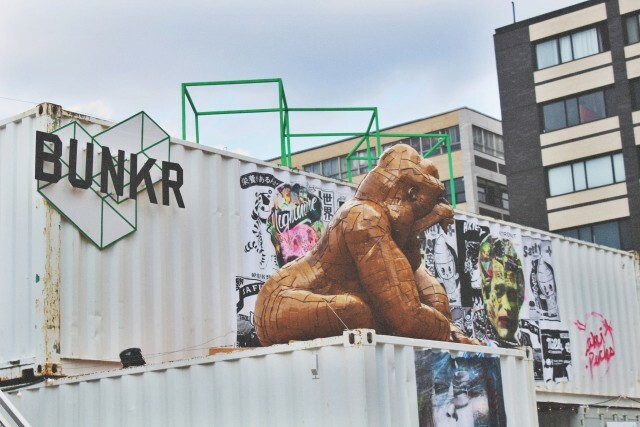 BUNKR aims to create a fun atmosphere in an industrial district to inject a little culture to the neighborhood. To add to this trendy project, take a break at the various lounging areas in BUNKR by relaxing on their big cushions between work hours. 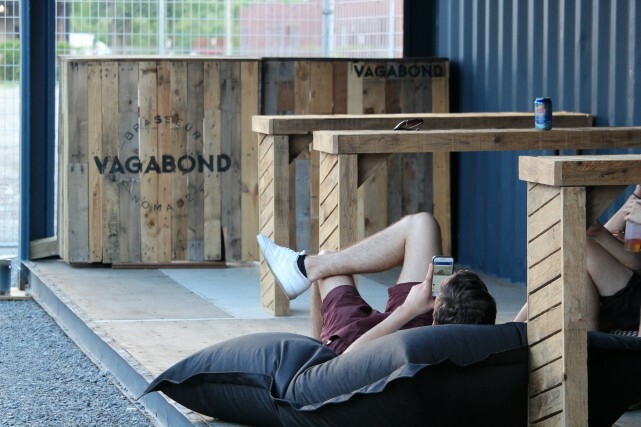 Better yet, head on over on a Friday night to drink Vagabond beer (a nifty partner) and listen to great music with friends. Village BUNKR is great for everyone: it caters to varied tastes and interests, so anyone can enjoy it. 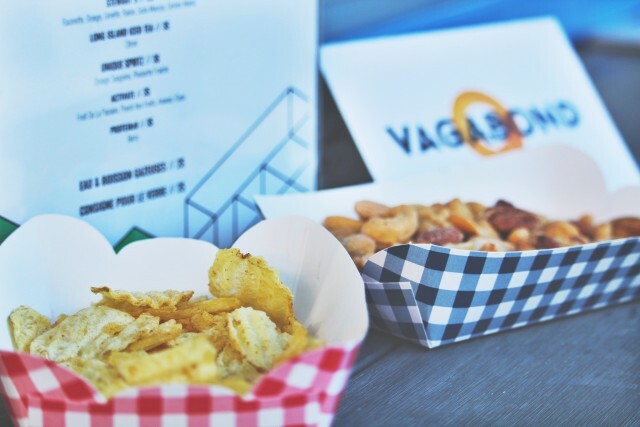 And don’t go hungry: BUNKR feeds you with snacks and beer from Vagabond brewery. They also invite Montreal food trucks to make this an even sweeter deal. Village BUNKR also has plenty of activities to choose from. There’s Fit Mornings where you can do yoga or even workout outside and sweat like never before. Some days will feature a Lunch+Learn activity, where you can have a bite while listening to guest speakers talk about business and other interesting topics. Expect F.A.T. Nights (Fashion, Arts, and Tech) to keep things interesting. 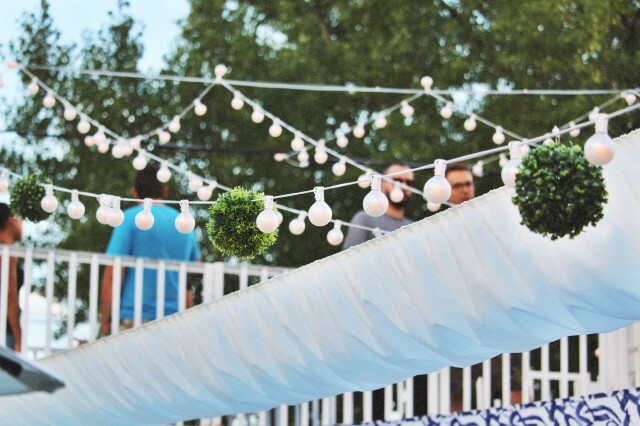 To make it even better, BUNKR throws block parties on Fridays with awesome music and even better company. And if you thought the industrial space would be drab and boring, think again. The team worked with local artists to display their talents on the BUNKR walls, giving us a visual feast with a punch of beautiful colours and more inspiration to create. Village BUNKR is an exciting project that will keep you interested and excited. It’s free and fun; perfect combo right? 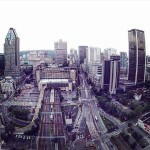 Photos by Pascale Deschenes (@pascaledeschenes).